Shown in 5mm .80ct tw. Customization options are available. Inquire within for special requests. 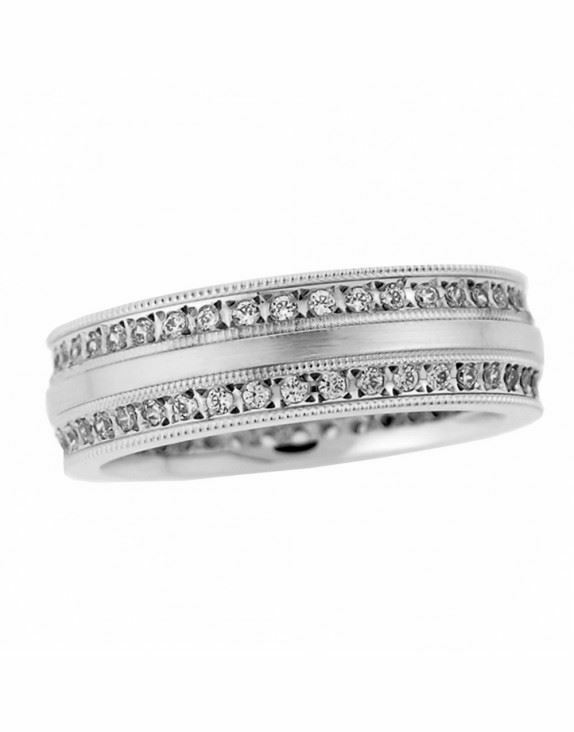 With this diamond wedding band you can choose your Metal, Metal Color, Width, and Size.